11th April 2018: Etching their names in the history books is the ultimate pinnacle for every successful athlete in the world. The ambitious desire may drive an individual from an early childhood or else get inspired, when they see their heroes or idols achieving great success in the world or respective fields. Life for an athlete is full of dedicated hard work, perseverance, undying passion and endless training hours without losing the bull’s eye to be the best among the bests in the world. Michelle-Lee Ahye of Trinidad and Tobago is one among the great athletes in the world, who etched her name in the history books by winning the 100m sprint at the Commonwealth Games 2018, clocking 11.14sec. Michelle-Lee Ahye created history by winning the Gold medal. 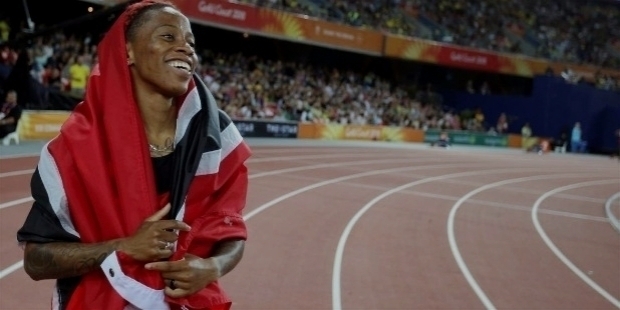 It was Trinidad and Tobago’s ‘First-ever Gold Medal for a female track and field athlete’ at the Commonwealth Games. 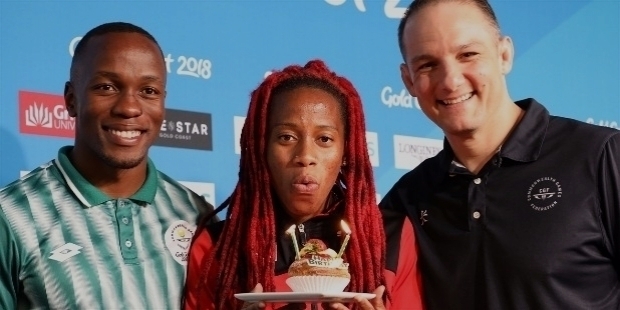 With history made, she also gifted self a Gold medal to celebrate her 26th birthday on the 9th of April 2018 at Gold Coast, Australia. 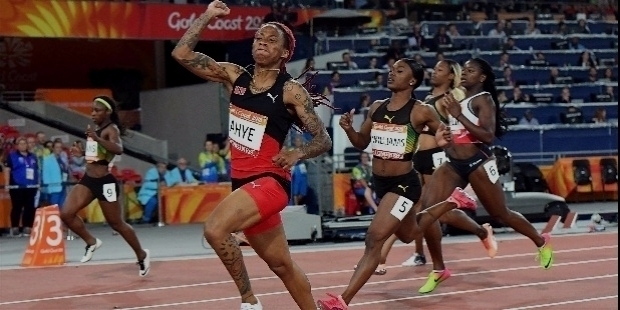 It all seemed so surreal for Michelle-Lee Ahye, who could not hide her astonishment on the victory podium, for winning Trinidad and Tobago’s ‘First-ever Gold Medal by a female track and field athlete’ at the Commonwealth Games in the 100m sprint final. She became the ‘Fastest Woman’ in the Commonwealth! In the women's 100m sprint at the Commonwealth Games 2018, Trinidad and Tobago's Michelle-Lee Ahye displayed superb form by clocking 11.14s. 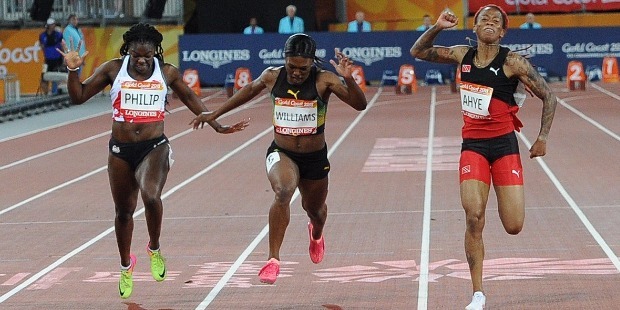 Her compatriot Christiana Williams clocked 11.21s to win the Silver medal, while Jamaican Gayon Evans clocked her personal best 11.22s to win the Bronze. For a Trinidad and Tobago’s women sprinter, the Gold medal win came almost 20 years after Ato Boldon’s superb win at the men’s 100m final at the Commonwealth Games in 1998. Michelle-Lee Ahye was born on the 10th of April 1992 in Port of Spain. She lives with her mother Raquel Ahye in the community of Carenage. She studied in Carnage's Girls’ Government Primary School. Ms. Akowe, her Physical Education teacher was the first, who discovered Michelle-Lee’s running talent. The young girl loved running and performed magnificently in the Milo Games. She was one of the best runners in her age group. By the age of 19, Michelle-Lee Ahye was representing her nation on the world stage. At the 2011 World Championships in Athletics, Trinidad and Tobago’s 4x100m relay team created a National Record time of 42.50s in the heats. The teenager was part of the National 4x100m relay team. Trinidad and Tobago’s women relay team came fourth at the 2011 World Championships in Athletics. Michelle-Lee Ahye became the fastest woman of her nation by winning the 100m title at the Trinidad & Tobago National T&F Championships in 2013. She defended her title in 2014 as well. She competed at the 2013 IAAF World Outdoor T&F Championships in Moscow. 2014 saw Ahye competing at the IAAF World Indoor T&F Championships in the women's 60m dash in Sopot, Poland. Michelle-Lee went onto set a new National Record in the 60m dash clocking 7.10s. However, her best effort was only good for the sixth place in the final. Breaking the National Record and losing in the final made her more determined to uplift her strength and skills. Ahye’s strong determination to rise in the international arena saw her winning 12 of the 13 races she competed in 2014 outdoor season. She clocked her personal best in 100m clocking 10.85s. Track and Field News ranked her in the 3rd rank in the World. Michelle-Lee became a threat to all the top women sprinters of the world. On the 3rd of July 2014, Ahye won the 100m sprint at the Lausanne Diamond League. She finally made her presence felt on the world stage. 9 days later, on the 12th of July 2014, Ahye conquered the 100m Olympic Champion Shelly-Ann Fraser Pryce at the Glasgow Diamond League in Scotland. She won the Gold clocking 11.01s. She remained undefeated in other world-class T&F meets in Guadeloupe, Ponce in Puerto Rico, Paris and Switzerland. At the 2015 World Championships in Beijing, Ahye was part of Trinidad and Tobago’s 4x100m relay team, who won the Bronze medal. In 2016, Ahye recorded her personal best in 200m clocking 22.25s in Rio de Janeiro, Brazil. In 2017, she clocked her personal best in 100m clocking 10.82s in Port of Spain, Trinidad. Michelle-Lee Ahye is currently managed by Stellar Athletics, part of the Stellar Group. She is being coached by Fritzroy "Eric" Francis in Houston, Texas.